DIAL 131 TO CALL AN AMBULANCE IN CHILE Ambulance services are provided by the national emergency system, known as “SAMU”. However, response times are not guaranteed and can vary greatly depending on your location so having other private ambulance provider numbers on-hand, or arranging private transport, is also common. HOW CAN I CALL AN AMBULANCE IN CHILE? Yes, 131 is accessible across the country and can be reached via fixed landline or mobile phones. Calls are received at a centralized call center and then dispatched to the nearest ambulance station. 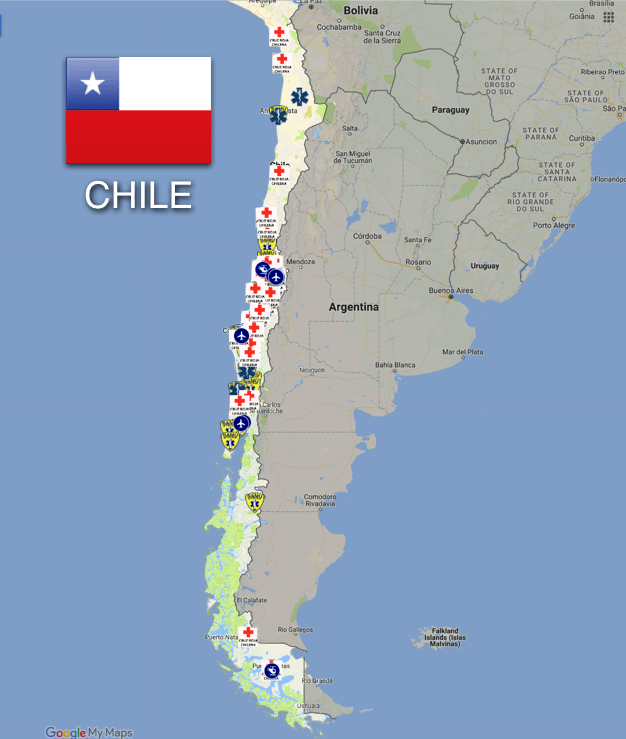 Yes, prehospital providers in Chile are trained. There are both regional public and private training institutes. Patients will be transported to the nearest hospital, whether public or private. If a patient requests transport to a private clinic, SAMU will comply with the request so long as the central dispatch base has approved it, has Isapre insurance, private insurance, or the means to pay out-of-pocket.